so, this just might very well be a 'hell week' for me, of sorts. that's what we called it back in college.....the crunch time, back in the day. where all deadlines converged, finals happened, critiques consumed you, and you were put to the test.....you either measured up, or you failed. pure and simple. i have multiple things going on right now.....a three person show in pasadena, an exhibition proposal to submit, a group show to provide both artwork and handmade books.....and, oh yah.....let's not forget, make more art. 'shift no. 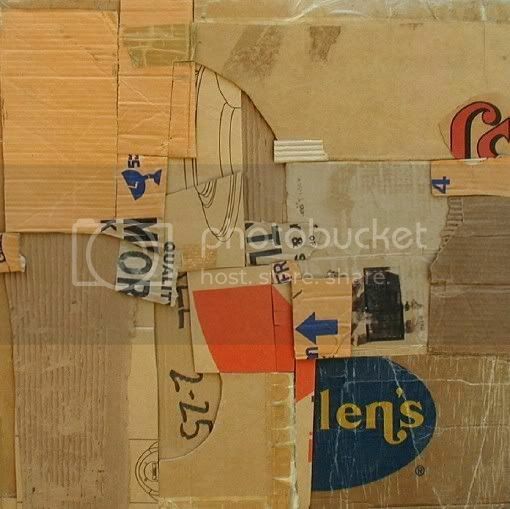 7' looks very "Rauschenberg" to me sweetie, I like it a lot! mickey deez is your best friend tonight, sweetums.....jozee'll be SO jealous!!!! awesome art, baby! i really dig this one especially!! glad you have lots of goodness going on, even if it is hell-week-icious. miss the dancing, but not the work. All this activity means you're alive and contributing to the world around you! psst...i just dropped off my collage show proposal today at my 1st pick gallery. cross your fingers and toes!